In a previous post, I talked about how to optimize OpenVPN by adjusting the MTU to your links. That however, is likely not going work on windows clients running Kaspersky products. On these clients, once a packet reaches the MTU, further packets could be dropped. Furthermore, OpenVPN process and the whole tunnel could come to a halt. 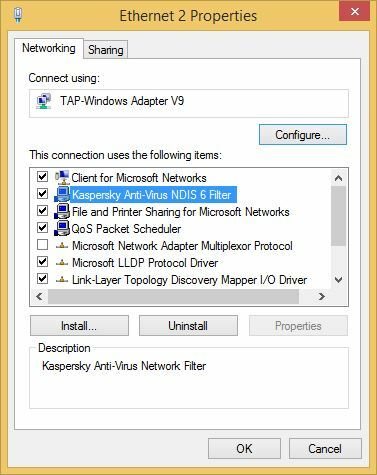 Investigating further, it turned out the so called Kaspersky Anti-Virus NDIS 6 Filter is to blame. This NDIS driver seems to be incompatible with any MTU other than 1500. What this exactly means is beyond me as uninstalling a driver on any interface, would result in it being uninstalled on all of them (unless of course you disable it instead). Either way, it is safer to remove the filter altogether. However, do note that removing it will effectively make Kaspersky unable to intercept packets; Which would cripple the functionality of its Firewall, Network Attack Blocker, etc (There seems to be an exception to this on 32-bit systems3). Other functionalities would not be affected. Because of the nature of the issue and changes between different versions, different procedures are required for complete removal. Disable the Kaspersky’s Self-Defense and exit the product before continuing. In these versions, The filter is directly visible within the NIC Properties. Just select the filter, click Uninstall and then reboot. For reasons beyond me, Kaspersky decided to hide the filter from the NIC Properties list and make it non-removable. To achieve this, all they had to do was a simple change in the inf file. I won’t go into the detail and just leave a Microsoft Link for those interested. But make no mistake, driver/filter is still very much there! And then do a reboot. This method even works for older Kaspersky products (with visible driver) and could be used in an automated script for removal in a domain. 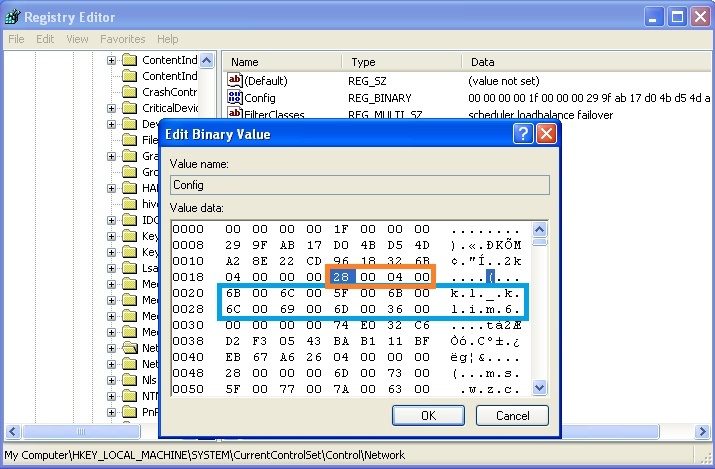 Kaspersky comes with its own version of netcfg.exe in its klim driver folder. DO NOT use that file. First thing first: Why on earth are you still using Windows XP?! Since there is no netcfg command in Windows XP (at least not built-in one anyway) I will show you a way to unhide the driver so it can be uninstalled via NIC Properties GUI. When Kaspersky installs its NDIS Filter, Windows actually uses a somewhat compiled version of it’s settings. Now if you look closely, you see the kl_klim6 string, and right before it, there is 28 00 04 00 (that’s 0x40028 in reverse order). 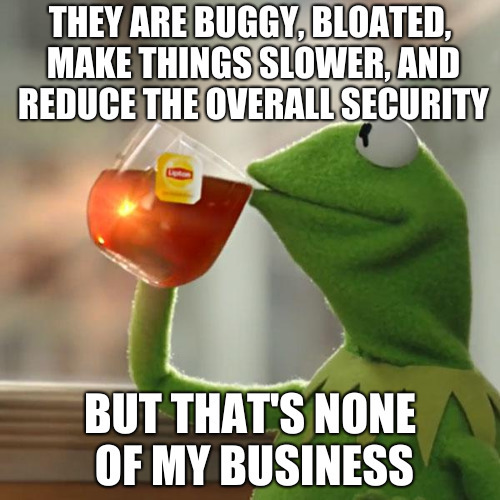 Just change the byte 28 to 00 (so it would become 00 00 04 00). And then click OK.
Open the NIC Propertise again and the driver should now be visible right away! This method also works for other Windows versions up to Windows 10. I am still unsure where Windows 10 stores in Network Config.